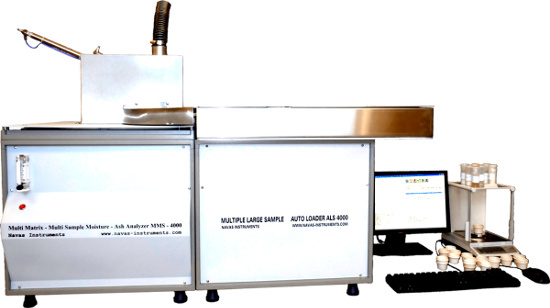 The MMS-3000 is ideal for analysis of samples with variable results, as in this TGA the samples slow to provide results, do not condition the analysis time of the entire batch. Unlike some competitor’s TGAs this is not a batch instrument, but a continuous instrument in which the furnace is always hot at a constant temperature, and time is not wasted heating and cooling. With multiple temperatures and steps with configurable parameters, the MMS-4000 offers the operator more flexibility. Organizational software allows for different materials; solids, liquids and powders to be loaded simultaneously. The instrument can even work at night without operator attention! 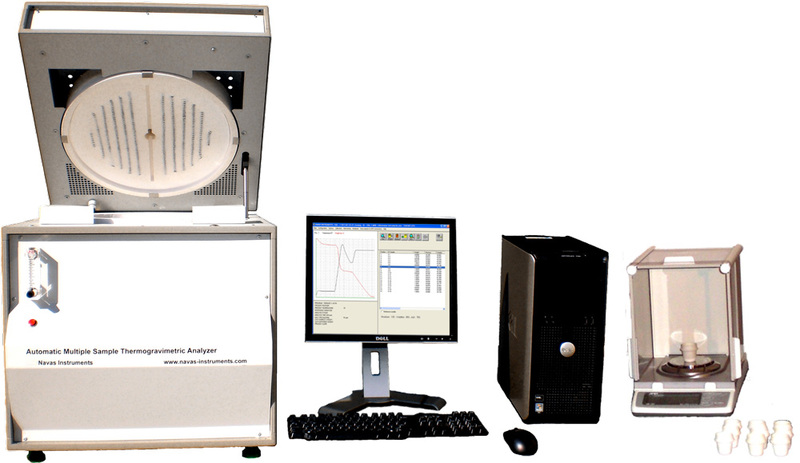 A multiple sample, but affordable thermogravimetric analyzer, the Navas Instruments TGA-1000 will provide fast, consistent and reliable moisture, volatile matter and ash results without the need for constant operator attention. 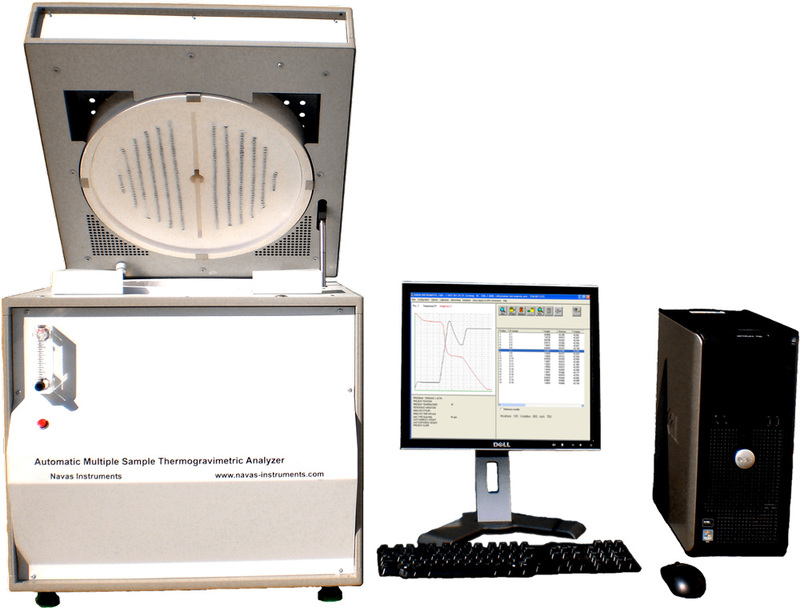 Specifically designed for coal and coke analysis, this multi-sample thermogravimetric analyzer has an automatic crucible-cover placement and removal for volatiles. The TGA-3000 Series includes an external balance for increased throughput and is ideal for determination of food, feed, snacks, dough, wheat and flour moisture and ash, this model can also be used in other applications like cement, coal and coke. The TGA-4000 Series includes an external balance for increased throughput and is ideal for determination of food, feed, snacks, dough, wheat and flour moisture and ash.